You are here: Home / EU - Regulating Biking / IMCO Vote On Track? The vote in the Committee of the Internal Market and Consumer Protection (IMCO) regarding EU Regulations for motorcycles, (aka the approval and market surveillance of two-or three-wheel vehicles and quadricycles) is on track for this Monday 5th December. The vote will cover over 300 amendments that have been submitted by MEPs to the Europe Commission’s proposal, which seeks to simplify the current legal framework and to establish new administrative and technical requirements, for example on environmental and safety aspects and market surveillance. Some of the amendments submitted by MEPs in our opinion, have turned a “technically neutral” proposal to technical incompetence, especially regarding what is Anti-tampering and which motorcycles are considered necessary to have anti tampering measures fitted by the motorcycle industry. Thus making it “illegal” for owners to tamper with the ‘Powertrain’( as outlined in Article 18 of the Europe Commissions proposal), the components and systems of a vehicle that generate power and deliver it to the road surface. At present anti-tampering measures already apply to mopeds in terms of power output and speed and Article 18 is where these anti-tampering measures should stay. Although in our conversations with the Commission representative, he said that the Commission would like these measures to extend to L1 and L2 PTWs, (but want to exclude L3: 35Kw or more, which is what full licence motorcyclists would ride). However the title of Article 18 says, “Measures regarding modifications to the powertrain of vehicles” and contains the text, “L-category vehicles shall be equipped with designated measures to prevent tampering of a vehicle’s powertrain. Sticking out like a sore thumb is the difference between “modifications” legal and positive and “tampering” illegal and negative, covering all L-category vehicles (which includes all motorcycle categories), in this respect, Article 18 is ambiguous and is the source of frustration and angst amongst riders because of its lack of clarity! These amendments have been submitted by German MEP Kerstin Westphal – Sozialdemokratische Partei Deutschlands and member of the Group of the Progressive Alliance of Socialists and Democrats in the European Parliament (S&D). With no justification or explanation what is a modification or a substantial modification or reasoning behind these amendments, Ms Westphal has introduced not only added extra cost to motorcyclists by requiring the motorcycle to be inspected and approved by the competent authority. 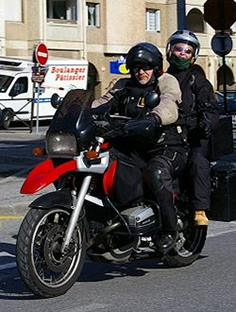 While this introduces and allows motorcyclists to “modify” motorcycles, it introduces restrictions that were not in the original wording of the European Commission’s text or in our opinion, of the intention of Article 18 to cover motorcycles which by requirements of driving licence categories. These are restricted in their power – power to weight ratio – speed output which includes mopeds and : A1 vehicle (low-performance motorcycle) – A2 vehicle (medium-performance motorcycle) and NOT A3 vehicle (high-performance motorcycle). Our understanding of this amendment is that any modifications to the powertrain must be inspected and approved by the competent authority in any member state. When Ms Westphal indicates modifications, we assume she means any changes from the standard set up of the motorcycle that would have a detrimental effect on safety or emissions. Surely her aim would not be to include aftermarket parts that already comply with type approval, are designed to replace, enhance and improve original parts? Although “amateur-built vehicles” have benefitted in the amendments with simplified and affordable applications to individual approval, this amendment in our opinion relates to modified motorcycles that retain their original identity, either by fitting of engineered parts – home or professional – or those that have been fitted with parts that are already type approved. As there is no explanation of what a substantial modification and what is classed as a vehicle component/s, this could lead to member states to introduce a restrictive regime of testing after any modification to the motorcycle. For example recently Right To Ride’s Trevor Baird completed some modifications and maintenance to our L4e vehicle (two-wheel motorcycle with side-car). This includes a new set of shock absorbers to the already heavily modified front end (fitted with leading link forks), replacing the front wheel with a second hard wheel which will require the fitting of the oversized, from original, tyre, fitting new aftermarket – non-original brake callipers designed for the motorcycle, aftermarket brakes pads and replacement stainless steel bolts. Under Ms Westphal’s amendment, would we be required to have the vehicle inspected by the competent authority? If so, this would require the competent authority to have an inspection facility in place, to have charges in place, a booking system in place and it would require that the vehicle is taken to a place of inspection. How would I ride to that place of inspection if by implication the vehicle is no longer legally road worthy? Would I be able to “road test” the vehicle so that to the best of my knowledge the vehicle is safe to ride to an inspection facility? Would my insurance be invalidated before it passes any inspection? We consider these amendments are unnecessary, because they are offering a solution to a problem that does not exist for the majority of motorcyclists. It puts a financial a burden on motorcyclists, has no justification on grounds of safety or environmental matters and is detrimental to motorcyclists who positively modify their motorcycles. What it does suggest is that the Commission has more knowledge about motorcycles than those MEPs who are deciding on the future of motorcycling. If these amendments are seen as a positive compromise to Article 18 then we fear that there is no understanding of motorcyclists and motorcycling or what would make motorcycles safe and more emission friendly by MEPs who would support these amendments. Has Ms Westfahl listened or approached motorcyclists for their opinions? We also consider these amendments unnecessary and any support to be driven by individual MEPs and especially their European Groups of political parties – all in the name of restricting motorcycle in the misbelieve of adding safety – safety – safety – have not looked at the real world of motorcycling. Although at this late stage in the run up to the vote, we have contacted each of the seven political groups in the European Parliament asking them for their opinion regarding the proposal, especially surrounding the issue of anti-tampering and how this would or not affect motorcyclists from the custom of modifying their motorcycles. We have had one reply from the European Conservatives and Reformists Group which includes the UK Conservative Party and UK MEP Malcolm Harbour. If you don’t know by now, he is the Chair of the IMCO Committee and Shadow Rapporteur. His opinions are well documented here on Right To Ride EU. We have now contacted the Rapporteur and Shadow Rapporteurs who we have not been in contact with in the IMCO committee, although earlier, we did receive an email from Mr van de Camp who was somewhat annoyed with our comments. Although they are not UK MEPs they will have an effect on motorcycling in the UK and like it or not, at present we are citizens of Europe. If you really feel the need to write to somebody about your concerns, we believe that these are the people you should be contacting. We assume that the Federation of European Motorcyclists Associations (FEMA), who represent national motorcycle organisations, has been lobbying hard within Brussels. However in this day and age of internet communications, websites, emails and social networking, all of which FEMA participate in, as we run up to the vote, this communication on the lobbying is missing and leaves a huge hole to be filled by the hype, misinterpretation and hysteria on the proposal. We have written to FEMA in the spirit of getting facts and asked for information and FEMA’s opinion on the proposal. 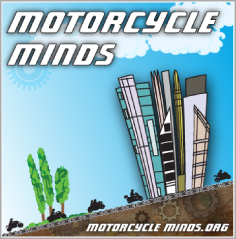 “Your rapporteur observes that within the motorcycle community, a well established culture of modification exists, to improve the performance of their vehicles. Preventing this will disadvantage many qualified riders. It should therefore be left to the discretion of Member States to deal with this kind of modifications”. Let’s see if Mr van de Camp is true to his word! The IMCO Committee which is tasked with steering the draft EU type approval regulations through the European Parliament is set to vote on the amendments to the original text on the afternoon of Monday 5th December. After all the protests, all the amendments, all the horse trading back and forth it all comes down to this vote. Through our membership of FEMA, MAG Ireland has been working throughout the process to ensure the views of Irish riders are communicated to the IMCO Committee. Much of the content in the proposals such as mandatory ABS & OBD are fairly straightforward and well understood by all concerned. While these elements will make motorcycling more expensive in the future, they don’t pose a significant threat to biking as we now know it, and the arguments are largely around how they are implemented – for example an on/off switch for ABS, or full access to the OBD diagnostics output without hefty fees or the need for expensive main dealer equipment. The big unknown at this point is the the dreaded Article 18 which deals with modifications and measures to prevent “tampering”. For tomorrow Monday 5th Dec 15.30 – 16.40 European time. The European Parliament Committee on the Internal Market and Consumer Protection has been leading work on the review and modernisation of existing European Union regulations on the so called “type approval” and market surveillance for two and three-wheeled vehicles and quad bikes. While promoting industry competitiveness, the European Commission’s proposal set out performance and safety standards for new models – factoring in the development of new technologies and designs, to ensure that motorbikes are safer for the public and cleaner and quieter in the future. The exercise aims to achieve only this. Supranational rules for motorbikes are not new and such a periodical review is as normal as it is necessary and welcome. Improving safety and environmental performance will secure the future of powered two wheelers and also meet the demands of a new generation of riders. To encourage cleaner bikes, the proposal includes a progressive tightening of toxic emissions standards – to be phased in over an extended period. New technologies to ensure that emission control equipment is functioning correctly – like on board diagnosis – are also included. Parliament has scrutinised these closely on the grounds of cost effectiveness and proposed some changes. There are also draft measures on anti-tampering, where there are similar concerns. We prefer these to focus on mopeds and scooters to prevent owners from making power alterations, to achieve more speed. On safety measures, the commission has proposed mandatory antilock braking systems, improved braking on lighter bikes and scooters – and mandatory automatic headlights on. Together with Wim Van de Camp MEP, we aim to ensure that these proposals are proportionate. The overall cost-benefit ratio of introducing mandatory AHO is clear, with only a very limited number of driving situations where this is debatable. Furthermore, the cost-benefit ratio for ABS is stacked in favour of higher-powered motorcycles – but issues do remain concerning when exactly this requirement should be introduced and to which vehicle types ABS should apply. We have worked to ensure scooters, in particular, are not covered – since combined braking systems are preferable for these rides. Also – the exemption for dual use “trial and enduro” bikes, driving off road, was preserved. The committee strongly supports revised proposals to ensure that competitive producers have access to the information needed to make spare parts and, therefore, fully backs aftermarket sales of spare parts for repairs and improvements. Drive-train improvements or part replacements, using aftermarket parts, will continue to be allowed. Finally farmers are particularly worried about the increased costs that might result from the commission’s intention to include utility all-terrain vehicles in this regulation on motorbikes under requirements for road quads. The commission’s starting point is sound as this would help make quads safer and greener. But the clear preference of specialised UATV users and manufacturers is that these vehicles be covered in the revised EU regulation for tractors, which is also currently going through the committee. So we followed their advice and proposed, in the draft law for tractors, a whole new category for UATVs to ensure costly and unnecessary features do not become mandatory – while making the necessary adaptations in the motorbikes regulation, narrowing down the definition to quads used on paved roads. In conclusion, some motorbike riders have expressed concern about the draft law – with recent demonstrations, in Brussels and rallies in the United Kingdom, to warn against allegedly “draconian” legislation – which could restrict user-choices unnecessarily. 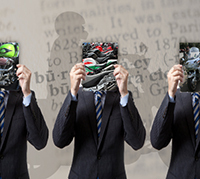 A number of rider concerns are, indeed, legitimate and have been addressed in our work. It is also clear that these have been capitalised on by anti-EU politicians and blown out of all proportion – as a result. Indeed, many focused criticisms about the commission’s and committee’s work are simply not relevant. For example, high-visibility jackets for riders and the banning of older motorcycles from urban areas. These are all, entirely, outside the scope of the motorbikes regulation and relate to debates or legislative proposals in Ireland or in France. Other criticisms refer to the commission’s early thinking in the white paper consultation on transport policy, where any resulting proposals would be in the long-term and would only follow on from structured consultations with member states, civil society and industry stakeholders. It is true that some MEP amendments did initially cause confusion by referring to side visibility reflectors, the harmonisation of driver-license schemes and random roadside checks – but these have all been sidelined. Therefore, it is simply incorrect to say that the EU intends to restrict users in the available choice of technical features on their rides. Quite the contrary is true. In fact – by promoting competitiveness in manufacturing, innovation and the take up of new technologies; this regulation will improve choice for riders as well as securing the future of this important industry sector for the 21st century. Malcolm Harbour is a British MEP and chairman of the European Parliament Committee on the Internal Market and Consumer Protection. There does not appear to be any other publications by any MEP involved in the proposal – unless you know different.